When going to the supermarket, most people buy one week's worth of groceries. Bad idea. You'll save a lot of money by tracking your supermarket's sales cycles and stocking up on just the items that are on sale that week. Almost every packaged product in the grocery store follows a six-week sales cycle. If an item is at its lowest price this week, it probably won't be at its lowest price again for another six weeks. Buy enough now to get you to the next sale. For many items, that may only require buying an extra package or two, so you don't even have to have a lot of storage space to be able to take advantage of the deals. If you don't have a lot of refrigerator or freezer space, don't sweat it. If you only focus on stocking up on shelf-stable items, you'll still save a ton. To maximize your savings, keep track of the sales cycle among major supermarket competitors in your area. You may find that one chain is best on pasta prices, while another has the best deals on condiments. You may also find that one store always has the best price on some products, regardless of a competitor's sales cycle. The sales cycle system falls apart, of course, when it comes to some fresh seasonal produce. There's no point in looking for a six-week cycle in blueberry prices. They'll be cheapest when they're in season locally—period. To perfect your grocery shopping system, start a price book. Record basic information about the products you buy regularly, including how much you paid for an item, when you bought it, and where you bought it. You'll soon have a quick way to check when the items you use the most go on sale, what price point you should look for, and even which store typically offers the best deal. 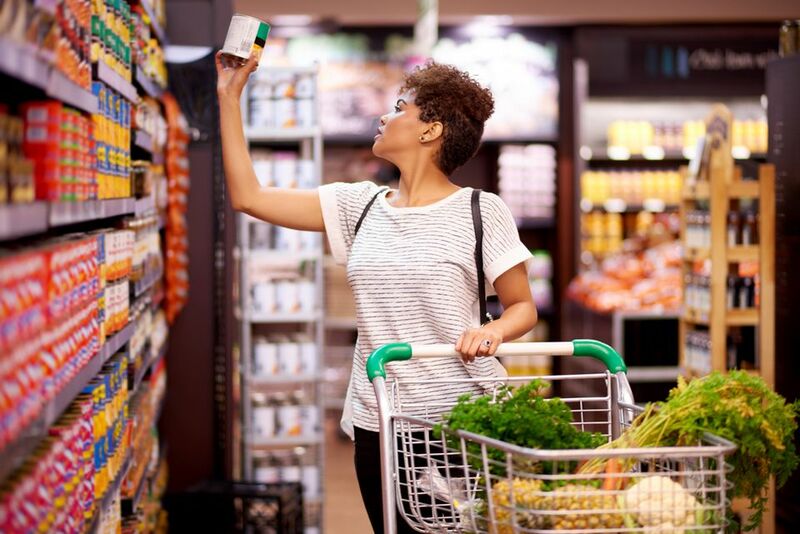 While most grocery items follow a six-week sales cycle, many items also have one time during the year when they hit their absolute rock-bottom prices. Learn when those times are, and then stock up. There is a best time to buy everything. Avoid buying more than you can use in a reasonable amount of time. Some supermarkets have a tendency to force you to buy five or six packages of a product in order to get the best price. If it's something that's going to gather dust in the pantry, don't buy it. Also, avoid going wild buying an unfamiliar brand for the first time just because it's on sale. You could wind up with six jars of peanut butter that no one will eat. You don't save anything when you're throwing food away. How Can Food Planners Help You Save Money? Where Can I Buy Vegetarian Ingredients?